Hong Chang Jun Sports Leisure Park is a large multi-functional sports, leisure, culture, amusement park.It is located in the west of Shan Gezhuang village, Cuigezhuang Township, Chao yang District. It covers 200 thousand square meters of areas and afforested areas are 10 thousand square meters, the overall infrastructure investment amounted to 200 million yuan. Park Green on the ecological landscape theory as a guide, tree species is variety, forming a clear priorities，sparse dense phase spacing, patchwork, concise and lively leisure ecological communities. The whole park is tree-lined, the kart tracks, trees, green, flower, square, building organic combination, embraced each other, constitute the beautiful picture scroll of movement, ecology, leisure combination. 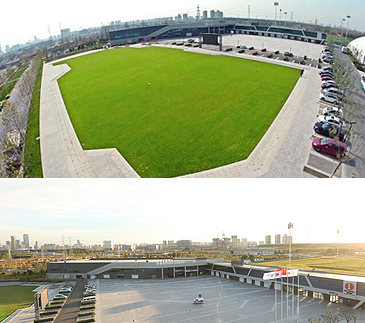 Hong Chang Jun Sports Park is large-scale, the construction design is exquisite, the quality is good, the park characteristic is bright, the connotation is rich, constructed the sports ecological landscape of organic integration of the humanities and the natural. Hong Chang Jun Sports Leisure park, the main operating projects have showing the speed and passion of indoor go kart, think customers with green, health as the management idea of "Jun Net feather Club", Jun hotels with sincerity of 【Quality Service Care 】, Let each master happy to enjoy become our original intention, high quality to create the lawn square and other leisure and entertainment facilities, not only to carry out a number of sports or fitness activities, highlighting the charm and vitality, but also have a park landscaping, and deeply loved by guests. 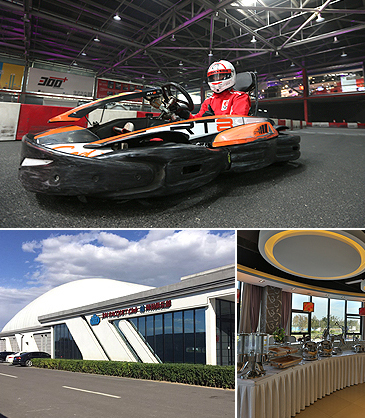 Ryder wan (Beijing) international go-kart field (Red1 Karting ) is the world's top level of indoor and outdoor Kart field, as a leading sports in the park, located in the Hong Chang Jun Sports park, covers an area of 50000 square meters. As the first one within the Beijing area and across the country's truly synchronized with the world indoor and outdoor comprehensive integration karting operators, since its 2014 inception, the full will of entertainment, sports, dining, leisure and many other features rolled into one. With the quality employers Background of Hong Chang Jun Sports Leisure Park and diversified and advanced concept of brand management, quickly make Red1 become the world's premier sports venues karting community brand. 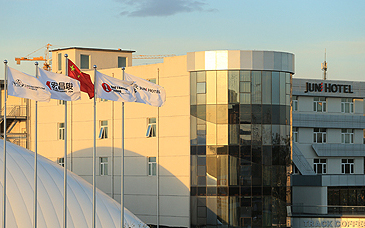 With deepening and carrying out the policy of national and post-olympic era of accelerating the development of the Beijing international sports centre city positioning, building area high-end sports industry development train of thought and planning, Hong Chang Jun Sports Leisure park, adapted to the needs of the development of national sports industry, effectively made up for the disadvantages of insufficient regional sports resources, for the region of sport development has provided a broad platform. 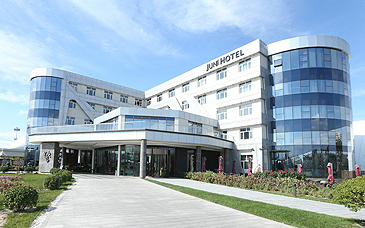 Hong Chang Jun Sports Leisure park is located in North expansion project of Zhongguancun electronic city west district, adjacent to the airport high-speed, Jing Cheng high speed,	Jing Shun road, Fifth Ring Road , come wide battalion east road, around transport facilities, near metro line 15, line 14 terminus, only 10 to 15 minutes drive from Wang Jing, is the first choice for citizens to drive travel for pleasure. 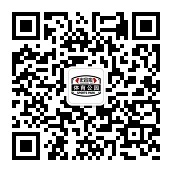 In the predictable futureHong Chang Jun has a more vaster planning and magnificent blueprint, through long-term industrialization management and unremitting efforts, we are committed to become in Beijing even across the country a influential independent brand sports industry. Beijing Hong Chang Jun Sports park sincerely look forward to your arrival.